"All Eyes on Me" SA rapper AKA enlists Nigeria's Burna Boy, motswako rap force JR and Da L.E.S. on a beat reminiscent of DJ Mustard tunes. South Africa's AKA comes through with a summer hit built on a beat reminiscent of the many DJ Mustard tunes flooding the airwaves over here. For "All Eyes On Me," the SA rapper enlists Nigeria's buzzing Burna Boy, motswako rap force JR and Da L.E.S. Each rapper takes a solid stance in the spotlight, with Burna Boy adding his inescapable dancehall touch to a chorus that features a Brenda Fassie sample. For more, check out AKA and Burna Boy's recent collaboration alongside Ghanaian star Sarkodie. Also, revisit his "All Eyes On Me" Google Hangout from today. Stream the single below and grab it from AKA's recent sophomore album Levels. >>>Stream: AKA feat. 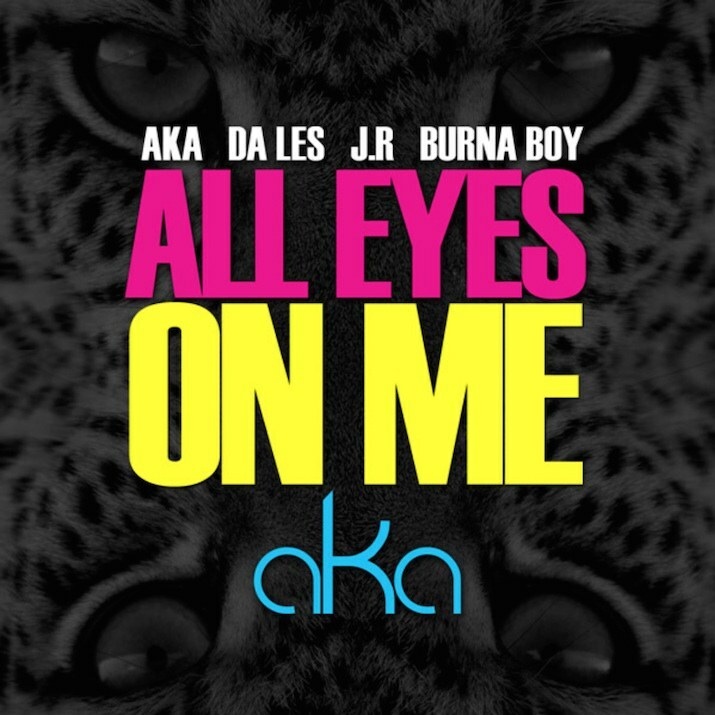 Burna Boy, JR & Da L.E.S "All Eyes On Me"